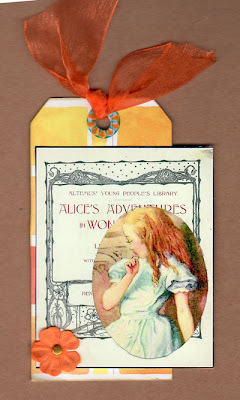 Here is a lovely little tag created by Michele Storms for the Alice in Wonderland blog challenge. Hope it inspires you to play along! Join our Alice blog challenge. Also be sure to visit Michele's blog Art From the Well for more of her work. Love this tag...great colors, images and layout!